This elegant Blues pendant light is evidence of how unique a light effect an individual glass lampshade can create. 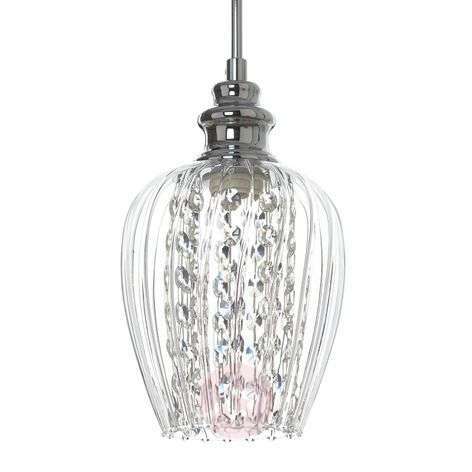 A slim lampshade with an open base and made of slightly domed, moulded glass hangs on a thin, nickel-coloured wire. 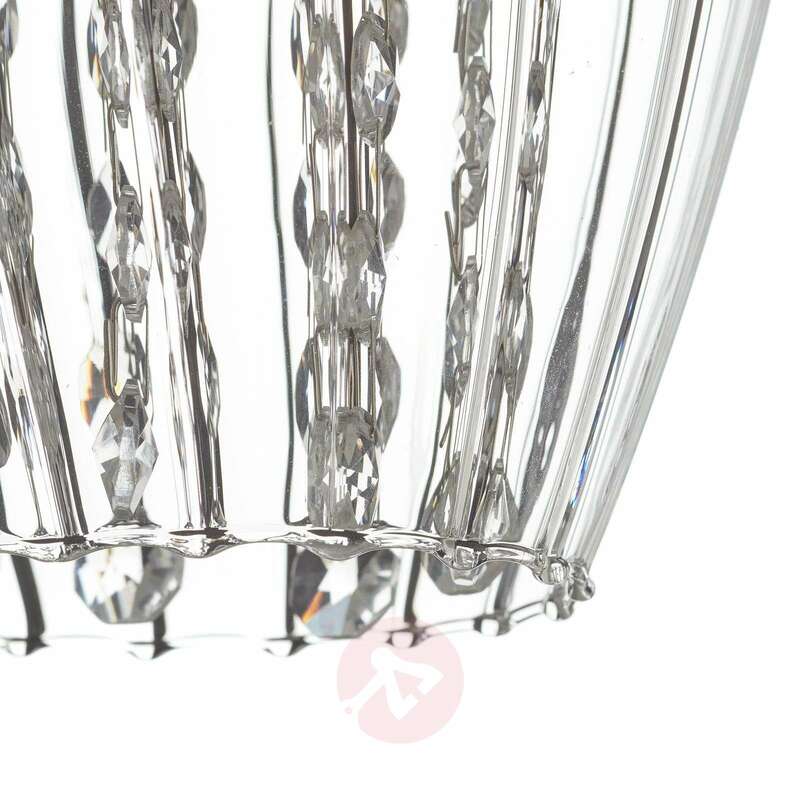 At first glance, you can hardly tell that the inside of the glass lampshade has been decorated with sparkling chains of octagonal crystals. These crystals both conceal the light bulb and cause the light to sparkle. When positioned above the kitchen table or coffee table, Blues proves to be a truly special light source. 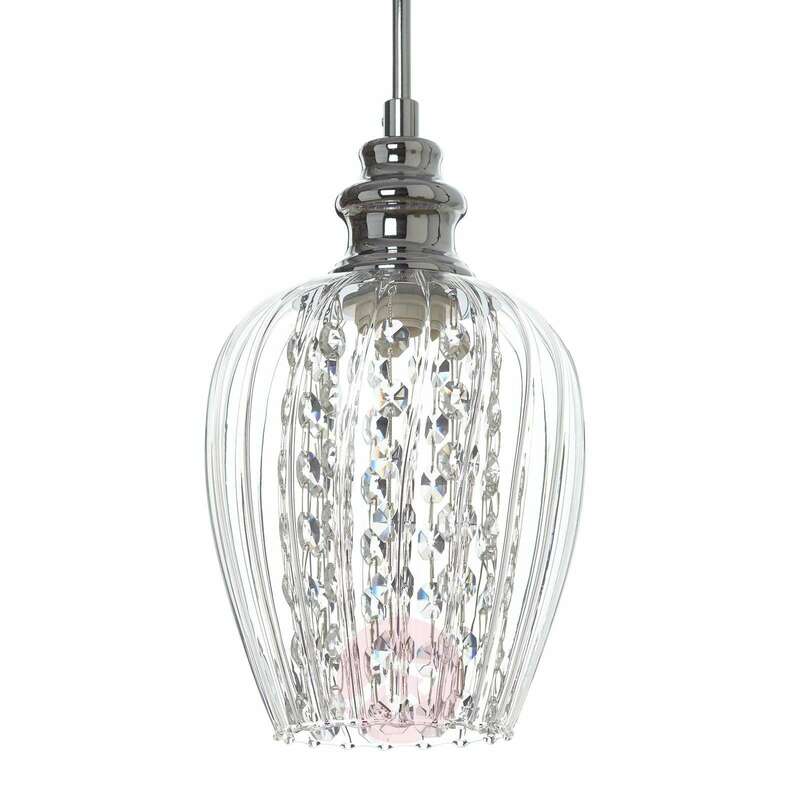 I bought two of these pendant lights for my hallway and they really add a touch of class to the space. I'm very pleased with how they look. Glamorous, but not gaudy.